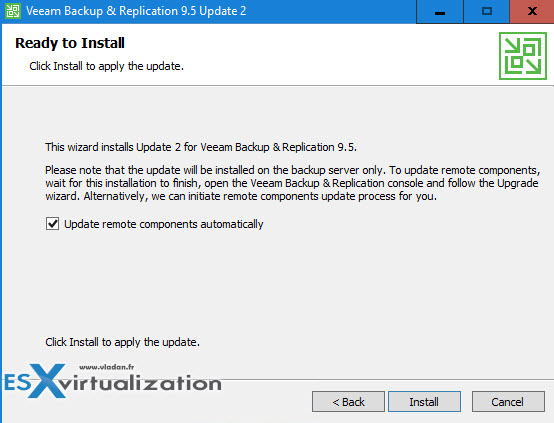 New update of Veeam Backup And Replication 9.5 Update 2 which has been released to the public today. (The U2 was RTM and available for SP since a couple of days already). Update 2 includes over 300 enhancements and bug fixes. Update: Veeam 9.5 U3 has been released. One of the interesting enhancements is Components auto-update. The update setup now offers an option to initiate the upgrade of all remote Veeam component automatically (check box). This covers all Veeam components. The latest update 2 brought also what’s called “Streamlined Updates“. What is it? Well, Installing the update no longer requires to disabling all jobs and stopping Veeam services manually. However, you still have to ensure there’s no running backup or restore jobs before installing the update. Enables VCSP support staff to remotely connect to a tenant’s backup server with the Veeam Backup & Replication Console, as well with the Remote Desktop client over the existing Cloud Connect tunnel, without the requirement to establish direct layer three network connectivity first. This enables remote support, troubleshooting and management of the tenant’s backup and replication jobs and the backup server itself. Failback performance improvements – now with Changed block tracking information (CBT). Failback performance improvements. Failback can now optionally use changed block tracking data to determine the changes between the original VM and replica VM state. This dramatically accelerates the failback performance due removing the need to read the entire original VM disks (“Calculating original signature” operation). 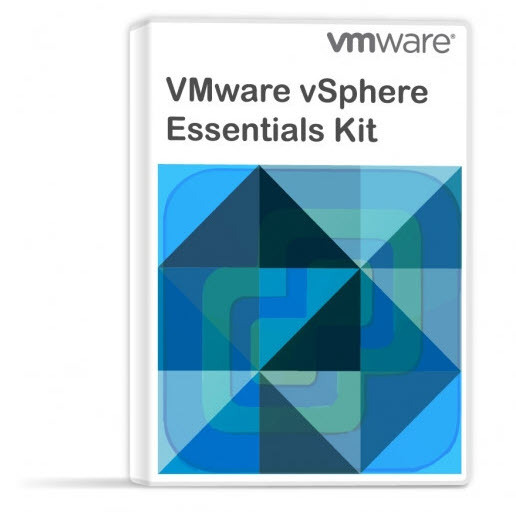 For VMware hypervisor, we recommend that this option is not used if the failover event was triggered by a disaster that involved host or storage crash or dirty shutdown, as CBT data may be inconsistent in this Case. ExaGrid Support – Now, a concurrent task number was increased from 1 to 10. Performance update – now faster, because the concurrent tasks were increased to 10. Components auto-update – possibility to launch the upgrade of all remote Veeam components automatically. Streamlined updates. Installing the update no longer requires to disabling all jobs and stopping Veeam services manually. However, you still have to ensure there’s no running backup or restore jobs before installing the update. Networkless restores for files above 10MB should no longer result in corrupted file restored. Backup infrastructure resource scheduling algorithms have been improved to reduce job initialization delays in large infrastructures. Shutting down or rebooting the backup server should now correctly stop all jobs. Repository throttling rules should now correctly apply to Veeam Agent for Windows 2.0 backups. Instant VM Recovery should now be possible for VMs for which the original host is no longer registered with Veeam. Fixed backup metadata resync issues caused by using storage-based replication or similar means of transferring backup files between Veeam backup repositories registered in the same backup server. Improved SureBackup performance and domain controller (DC) recoverability testing logic. As a side effect, the recoverability testing for DCs backed up without application-aware processing will always fail (which however represents typical real-life recovery result from such a backup). Improved Hyper-V 2016 RCT backup performance and off-host backup reliability. Improved Direct NFS transport mode compatibility with Tintri storage. Few words about ReFS and Fast cloning. ReFS and Veeam integration allow Veeam to use fast cloning capability within the ReFS API for synthetic backup creation without moving the data blocks between files. With this in mind, there is significant speed gain as the process only references the backup file blocks which are already present on the ReFS volume. As such, the file changes associated with synthetic full backups are only updating the metadata. There is no I/O movements. It’s Veeam 9.5 not 9.2 as you say in some spots. Shame on me…-:). Thanks. Edited. Corrected.